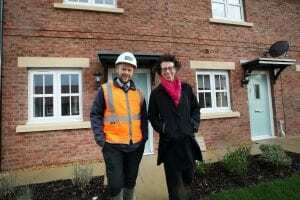 A North East housing association has received the keys to six new affordable homes on Story Homes’ Sedgefield development, St Edmund’s Manor. North Star Housing Group is helping to increase the affordable housing stock for local people by providing new build properties for rent. These new homes include two-bedroom terraced houses and bungalows. North Star is a group of housing associations operating across the North East and North Yorkshire. It builds and rents high quality affordable housing to meet a variety of needs, including specialist supported housing. North Star is committed to creating homes and building futures as well as investing in people at every level. Allan Thompson, managing director for Story Homes in the North East, commented: “This is the first time we have worked with North Star, and we are pleased to have been able to contribute towards increasing the affordable housing available in Sedgefield. This is something that is very important to us as a builder of new homes, and many of our developments include an element of affordable housing.